In which we help you with your (possibly last minute) Christmas shopping with a ton of our favourite recommendations from the year, plus culture consumed. Heads up: there’s a bonus Hugo edition episode incoming. Tansy: Game of Thrones rant, Jenny Colgan novels, Jago & Litefoot 7, Yonderland! In which, the Hugo host debacle online conversation became a many-tentacled AI that wants to steal our souls, and ladies are cranky. Speaking of Cranky Ladies – check out Tansy and Tehani’s crowdfunding campaign. Foz Meadows laying out the original drama in her usual inimitable style. Cheryl on the arguments for & against Jonathan Ross as host as particularly on the importance of Intersectionality – how to be a good ally, and why you LISTEN to why people are upset, even if it’s inconvenient to you or your community. The Chairs of LonCon apologise for the situation – weirdly, this graceful and thorough acknowledgement of their responsibility for how the chain of events went is often not being mentioned in coverage of the discussion. The downside of recording several days ahead of broadcast is that sometimes the conversation we are contributing to moves on without us – in particular with the “Hugos and Jonathan Ross” conversation we recorded on Wednesday night there has been some serious reframing of the narrative, some of it highly gendered. We wanted to reference some of this further discussion rather than be seen to ignore such an important (and troubling) development. Kari Spelling on how the conversation has changed from being about the unsuitability of Ross as a Hugo host to being about how women were “mean” on Twitter – and how those women are continuing to be unfairly targeted. Natalie Luhrs on “Reframing and Punching Down” – with particular reference to how those posts calling for people to be nicer to each other, or how fandom is too hysterical to deserve nice things, aren’t always as helpful as you think they are. David Perry questions the mythical concept of Seanan Maguire’s Angry Mob, calling particular attention to how Seanan and her tweets are now being reframed as central to Jonathan Ross’s resignation, due to selective quoting, selective memories and gross misrepresentation of the actual timeline of events. This is important stuff, people. Our history just got rewritten while we were watching. Another important post by Kameron Hurley, Rage Doesn’t Exist in a Vacuum. On why internet rage happens, why someone else might be more upset than you are about a thing, and why it’s important to speak up about upsetting things even if it ruins someone else’s happy party fun times. Listen to the Podcast here or Subscribe through iTunes. In which Alex falls by the wayside and Alisa & Tansy soldier on to talk about awards, Connie Willis, Tina Fey and Chicks Digging Comics. And more comics. News The Galactic Suburbia Award has landed. Cool comment about understanding Aussie fiction awards from outside our country. Swancon Program is out – Perth SF convention this Easter. Tansy’s Creature Court books (Power and Majesty, The Shattered City and Reign of Beasts) are now available on the Kindle internationally! Should be available on other platforms too – iBookstore etc. If you see them for sale somewhere in your country please let us know. Fly, my pretties, fly! What Culture Have we Consumed? Alisa: All About Emily, Connie Willis; Bossypants, Tina Fey; Hunger Games Movie Tansy: Astonishing X-Men, Joss Whedon & John Cassaday; Saucer Country by Paul Cornell, Chicks Dig Comics, edited by Lynne M Thomas & Sigrid Ellis. We’ll be giving away a copy of Beyond Binary, edited by Brit Mandelo (and featuring a Tansy story). Tweet us with the name of your favourite queer/genderqueer/QLTBG character in SF or fantasy to be in the draw! Phew, what a day today. I dragged myself out of bed cause I stayed up too late last night reading – something I am going to repeat tonight (so close to Xmas!) – and was finally out the door at 7am instead of my usual 6.40. And I was 30 mins down the road when my car died. First the radio went. Then the indicators. Then the whole thing just suddenly lost momentum. Luckily I could pull off into the emergency lane. I checked my phone and yup, sure enough, I had 9% charge left on it. So I calmly called C and asked him to call the RAC and then I waited for them. A very nice man actually stopped to see if I was alright though he couldn’t help me. I thought it was nice that he stopped all the same – chivalry/good behaviour is not dead! The first RAC man determined that my alternator had died and helped me to get the car off the freeway and to Cockburn Gateway and to call the tow truck. I’d waited about 45 minutes for the first RAC man and then he told me the tow would be about an hour, that I should head off to get a coffee and come back. I raced off to Big W (yay for being open before 9!) and got a phone charger (and then a hot chocolate on the way through) and raced back to my car. At which point I really was cursing myself for wearing my highest heels that day and for not packing a paper book for the first time in weeks. And when I got back to my car and charged my phone off my laptop, I discovered I’d already been texted for the tow. Not at hour/90 minute wait after all. Much of the rest of the day was spent much less dramatically – the tow truck took me to the mechanic where I left my car. I got picked up and taken to my parents. Then I waited for the car to be repaired, did some work on the laptop, ran errands and had coffee (hot chocolate for me) with my dad. And in this running errands bit I discovered that my print run of Bad Power had arrived yesterday! Had I not had to come north to get my car fixed, I wouldn’t have been near my post office til maybe Saturday or early next week! So that was a big bonus! I raced home through peak hour to make it in time for the Galactic Suburbia recording! And then I did the Bad Power mail out! In fact, a rather mellow day, when all is said and done. Tomorrow I go back to work for some unpleasant things to face – why do people leave things to the very last gasps of the working year and then expect you to work miracles? Canna be done, Cap’n. And we have our end of year thing tomorrow afternoon. And then … 8 days left of work and perhaps a wee bit of a change for me in the coming year. It’s the trilogy that put dystopia into YA and not only kicked Harry Potter and Twilight off the bestseller charts, but also shot them between the eyes with a crossbow. While they were stung by wasps. 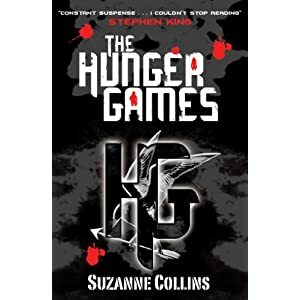 Tansy and Alisa are spoiling the hell out of The Hunger Games, Catching Fire and Mockingjay, by Suzanne Collins. Listener beware, the first rule about the Spoilerific Book Club is… WE SPOIL STUFF. Please only listen to the podcast if you have read the books in question, plan never to read the books in question, or really truly don’t mind spoilers. Also, towards the end, we get pretty spoilery about Harry Potter too. It’s relevant! Mostly. You can find the podcast on iTunes, by direct download or stream it on the site. May 11 New Galactic Chat Episode! Tansy interviews fantasy Glenda Larke during a rare quiet moment at Swancon, this year’s National Science Fiction Convention in Perth. Glenda Larke was born in Western Australia but has lived in Malaysia for several decades with her family. Since 1998 she has had one standalone fantasy novel and three trilogies released worldwide, mostly with HarperCollins Voyager. Her most recent trilogy, Watergivers, will be completed later this year with the release of Stormlord’s Exile.